Resveratrol, one of polyphenols derived from red wine, has been shown to protect against cell death, possibly through the association with several signaling pathways. Currently numerous studies indicate that cardiovascular diseases are linked to the release of intracellular reactive oxygen species (ROS) often generated in states such as ischemia/reperfusion injury. In the present study, we investigated whether resveratrol has the capability to control intracellular survival signaling cascades involving AMP-activated kinase (AMPK) in the inhibitory process of cardiac injury. We hypothesized that resveratrol may exert a protective effect on damage to heart muscle through modulating of the AMPK signaling pathway. We mimicked ischemic conditions by inducing cell death with H2O2 in H9c2 muscle cells. In this experiment, resveratrol induced strong activation of AMPK and inhibited the occurrence of cell death caused by treatment with H2O2. Under the same conditions, inhibition of AMPK using dominant negative AMPK constructs dramatically abolished the effect of resveratrol on cell survival in H2O2-treated cardiac muscle cells. These results indicate that resveratrol-induced cell survival is mediated by AMPK in H9c2 cells and may exert a novel therapeutic effect on oxidative stress induced in cardiac disorders. Cardiovascular diseases continue to be major health obstacles in the USA and Europe. It is generally known that reactive oxygen species (ROS) are involved in various cardiovascular diseases such as ischemia and reperfusion injury, including myocardial ischemia-reperfusion injury, coronary heart disease and congestive heart failure . Exploring the alternative therapeutic modalities through scavenging ROS is necessary in overcoming cardiovascular diseases . One of these modalities is using naturally derived compounds widely distributed in many beverages and food products . 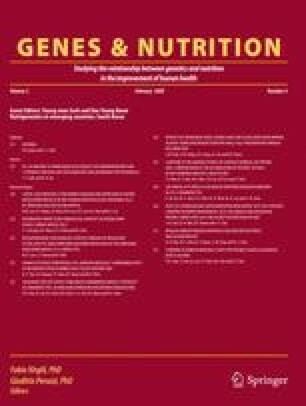 Resveratrol, one of the polyphenols found richly in red wine, has been indicated to have a cellular protective effect in heart diseases as well as a chemotherapeutic effect in cancers, possibly through its ability to modulate certain signal pathways of cell proliferation and survival [1, 15]. In the present study, we investigated physiological events leading to cell protection by resveratrol in the ROS-induced cardiac injury of the cell system, especially focusing on the role of AMP-activated protein kinase (AMPK). AMPK is a well-known intracellular energy-sensing protein kinase that shares an amino acid sequence homology with yeast SNF1 . In various cell types, AMPK is regulated by allosteric binding of AMP under ATP depletion and plays a major protective role in metabolic stress conditions such as hypoxia and ischemia. AMPK in skeletal and cardiac muscle is activated by vigorous exercise, and AMPK-α1 isoform is found in cardiac myocytes and vessels [9, 16]. Moreover, the AMPK cascade has emerged as a prominent regulatory pathway in the prevention and control of various degenerative diseases . Here, we hypothesized that the cell signal modifier resveratrol might result in decreasing cell injury caused by oxidative stress in cardiac muscle cells. Also we tested the involvement of AMPK in the anti-apoptotic effect of resveratrol in H9c2 cardiac muscle cells. The H9c2 cardiac muscle cell lines were purchased from American Type Culture Collection (Gaithersburg, MD). Cells were cultured in DMEM containing 10% fetal bovine serum under CO2 incubation. Resveratrol and 3-(4,5-dimethylthiazol-2-yl)-2,5-diphenyltetrazolium bromide (MTT) were obtained from Sigma (St. Louis, MO). The anti-phosphorylated specific antibodies that recognize phosphorylated AMPK Thr172 and AMPK pan-α were from Cell Signaling Technology (Danvers, MA). C-MYC-tagged AMPK wild type α subunit (WT), a dominant negative form (DN), were gifts from Dr. Ha (KyungHee University, Seoul, Korea). Infections with Ad-αWT and Ad-αDN were performed in normal medium for 24 h at 37°C. Cells were incubated with the stimuli for the indicated doses or times. The respective medium was removed and then incubated with 100 μl MTT solution (2 mg/ml MTT in PBS) for 4 h. Absorbance was determined using an auto-reader. Genomic DNA was isolatecd from the H9c2 cells. RNA was removed by incubation of RNase A, and then the DNA was precipitated with ethanol, resuspended in TE buffer, resolved on 1% (w/v) agarose gels and stained with ethidium bromide. Eighty percent confluent H9c2 cells were lysed with 1% NP-40, 20 mM Tris pH 7.4, 150 mM NaCl and 10 mM EDTA supplemented with protease inhibitors, then electrophoresed and transferred onto nitrocellulose. Proteins were detected by blotting with anti-phospho AMPK and anti-AMPK pan-α antibodies. There have been reports that ROS releases in ischemia/reperfusion states are related to various cardiac diseases and that attempts to reduce this kind of oxidative stress lead to significant reduction of heart pathology in degenerative diseases . We therefore tested the protective effect of resveratrol on ROS-induced cell death in cultured myocytes. H9c2 cardiac muscle cells were pretreated with resveratrol for 30 min and then exposed to H2O2 for the indicated time period. Cell death was assayed by MTT. As shown in Fig. 1a, the treatment of H9c2 cells with resveratrol markedly reduced H2O2-induced cell death compared to the results for H2O2 treatment alone. Resveratrol also protected against H2O2-induced cellular apoptosis (Fig. 1b). These results indicate that resveratrol inhibits oxidative stress and thus reduces apoptotic myocytes induced by H2O2. AMP-activated protein kinase plays a major role in cellular energy homeostasis and exerts protection under stress conditions such as hypoxia and ischemia . Therefore we investigated whether AMPK plays a role in cell protection by resveratrol treatment in oxidative stress with H2O2. We tested AMPK activation using phospho-AMPK antibodies in resveratrol (50, 100 μM) for 1 h (Fig. 2). The resveratrol treatment increased AMPK phosphorylation, whereas AMPK pan-α was not altered. These results indicate clearly that AMPK is activated by resveratrol treatment in H9c2 cardiac muscle cells challenged with H2O2. To confirm the involvement of AMPK in the cell protection by resveratrol in H9c2 cells, AMPK activity was abolished by using cells infected with AMPK dominant negative viruses. As shown in Fig. 3, inhibition of AMPK completely blocked the protective ability of resveratrol in H2O2-treated H9c2 cells. These results strongly suggest that AMPK activation is necessary for a protective effect of resveratrol in H9c2 cardiac muscle under oxidative stress. Some dietary constituents are known to have potential in cellular protection and to be generally safer than artificially synthesized compounds. Therefore, many natural compounds are used to prevent or protect against various degenerative diseases . In this study, we investigated the molecular evidence for protecting against cell degeneration with natural compounds under H2O2 treatment conditions in H9c2 cells. Early published papers suggest that resveratrol exerts its biological activities against various diseases through a variety of processes such as ROS scavenging, inhibition of apoptosis or induction of cell survival; however, the underlying mechanisms are poorly understood [4, 14]. The present study demonstrated that treatment with resveratrol could reduce cell death in H2O2-treated H9c2 cardiac muscle cells. Previous studies have suggested that the formation of ROS is the important risk factor in the pathogenesis of cardiovascular disorders such as myocardial ischemia/reperfusion injury and heart diseases . Modulation of ROS by natural compounds accounts for the reduction of cell injury in pathological conditions in heart diseases . Although resveratrol has been shown to regulate cell survival enzymes such as AMPK, it has not been clearly demonstrated in myocardial systems . Treatment with resveratrol resulted in the reduction of cell death and elevation of AMPK phosphorylation. AMPK phosphorylates a range of metabolic enzymes and has been shown to be implicated in various physiological functions including stress-induced cellular protection . The physiological or stress conditions known to activate AMPK include exercise, nutritional starvation, heat shock, oxidative stress and ischemia/hypoxia . In this study the activation of AMPK is connected to protection from cellular apoptosis processing; thus, AMPK plays a critical role in the protection against cellular death. Our results indicated that the treatment of resveratrol activates AMPK and decreases cell death caused by H2O2-treated H9c2 cells. To confirm these results, we used AMPK dominant negative vector under the same conditions, and we identified AMPK as a novel regulatory protein of cardiac protection by resveratrol under H2O2 treatment. In conclusion, the present study demonstrates that resveratrol exhibits a protective effect by AMPK phosphorylation in H2O2-treated cell death in H9c2 cells. We have identified the activation of AMPK as the key element in the regulation of cellular protection by resveratrol. Further investigation is warranted to elucidate the mechanism by which resveratrol inhibits cell death through the activation of AMPK in ROS-induced cardiac injury. This study was supported in part by the Inter-Institutional Collaboration Research Program of the Korea Research Council for Industrial Science and Technology (KOCI) and the Bio Food Research Program of the Ministry of Science and Technology.